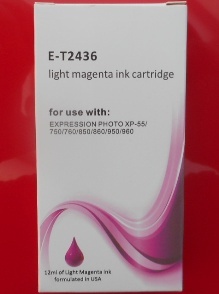 HIGHEST YIELD (XL) FULLY GUARANTEED CHIPPED INK CARTRIDGE Compatible with Epson “clock” 27XL. 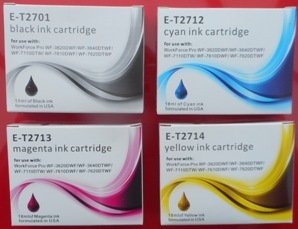 Great reliability and print quality at a superb price. Free rapid delivery. Quoted page yield (based on 5% ink coverage) 1,100 x A4. 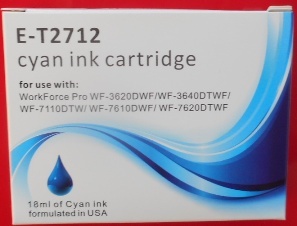 HIGHEST YIELD (XL) FULLY GUARANTEED CHIPPED INK CARTRIDGE Compatible with Epson “clock” 27XL Cyan. 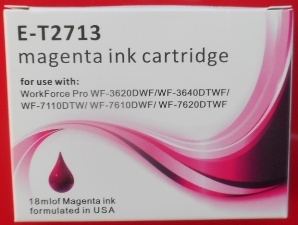 Great reliability and print quality at a superb price. Free rapid delivery. 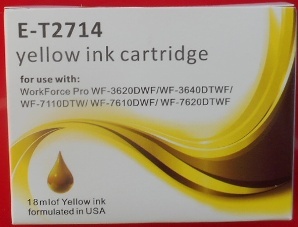 Quoted page yield (based on 5% ink coverage) 1,100 x A4.